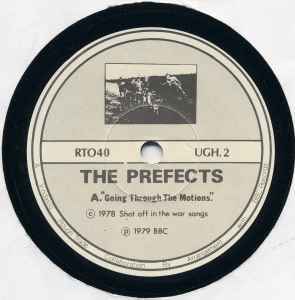 Tracks recorded at BBC studios for John Peel Session . This release a collaboration between Vindaloo and Rough Trade labels, so has two different catalogue numbers! The Rough Trade Catalogue number should have been RT 040, but is written RTO40. Matrix / Runout (A side [Etched]): RTO-40-A-1* A PORKY PRIME CUT A HORRENDOUS DOPPELGANGER PARODY. Matrix / Runout (B side [Etched]): RTO-40-B-1* A PORKY PRIME CUT PERFECTION IS A FAULT.